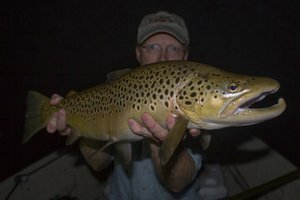 The Trout Zone: Take Better Fish Pictures!!! 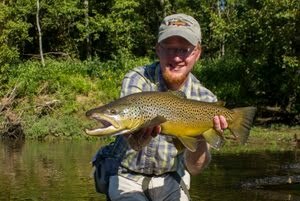 How many times have you caught a great fish and were able to get a picture? In this day and age, probably most people are carrying some type of camera with them on the water. You've seen lots of how-to articles on taking better pictures. We've all seen the Rule of Thirds and other tips on better composition. This means that often, when you pull out your iPhone or post the picture of your trophy on a blog or online fly fishing forum, you sit back and wait for your buddies to pat you on the back and discuss how you're such a great fisherman. Enter the fish nazi. 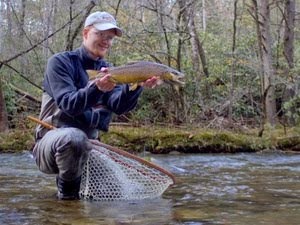 We've all run into them, and truth be told they do a great job of reminding us how to handle trout. You know what I'm talking about; the random person that always has to rain on your parade by suggesting that you had the fish out of the water for too long, or maybe you were squeezing too hard, or, gasp, dry handing the trout, and let's not forget the ultimate sin of laying the poor fish on dry ground for a photograph. Are you tired of listening to the complaints? Have you given up on sharing those trophy pictures because of all the criticism you receive? 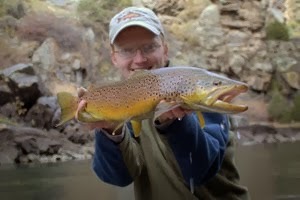 As we approach the New Year, the Trout Zone is working hard to bring you a better fly fishing life. With that in mind, let me introduce the Photarium from the Wild Fish Conservancy!!! Ever had anyone tell you that you should never take a fish out of the water? Now you don't have to, and you still get a great shot of that trophy you are so proud of. Imagine getting out with your buddy on a float trip and when that nice fish is landed, you just ask the rower to dump the netted trout into your Photarium for a quick picture. Imagine how impressed your friends will be at your concern for the well-being of the fish, not to mention the ultimate pleasure of seeing your favorite fish nazi speechless next time you share that shot of your most recent trophy. Only catch dinks? Not to worry. The Wild Fish Conservancy has three sizes for all types of anglers and has even been known to make custom extra large boxes perfect for those anglers fixated on size. 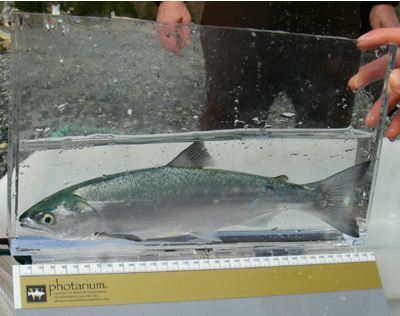 Make a New Years Resolution today to treat trout better in 2013 and start the year off right with a Photarium!!! Yeah that's it! 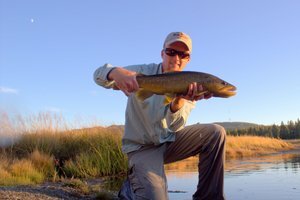 I caught some monster trout last year and was worried about taking them out of the water, so I didn't take any pictures! David, I thought this was a joke. Whadyagot for the fisherman who doesn't catch anything? I don't see a solution for that. Howard, I'm close to the perfect solution there too. We'll see how it works out and will hopefully have the information out soon! And here I thought I'd seen it all...I guess I'm gonna need a bigger vest to carry around my large size Photarium while on the water!! Is that in millimeters? Silly Canadians make me laugh every time. But seriously, how many trout are injured every year being put into these cramped death traps? What are the "Photariums" made of? How much do they weigh? There comes a certain point where the Fishing Nazis need to just let fishing be fishing!